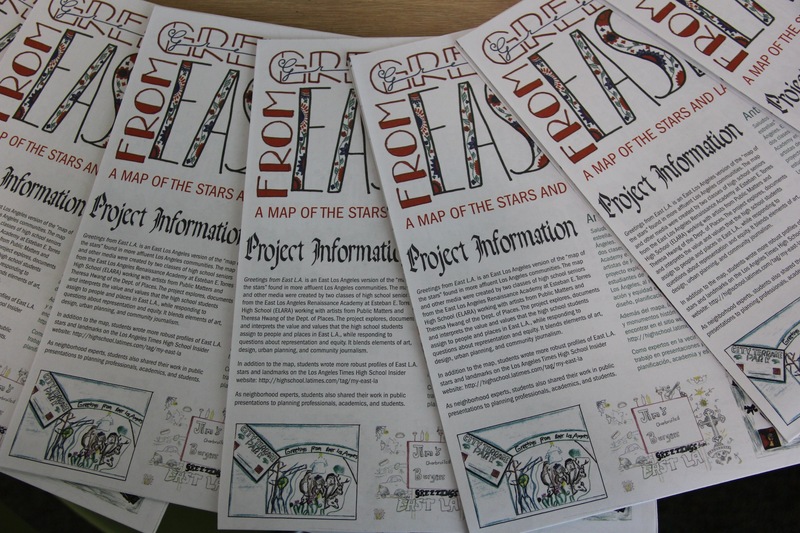 Created during the Spring 2016 semester, “Greetings from East L.A.: A Map of the Stars and Landmarks of East L.A.” is an East L.A. version of the “map of the stars” found in more affluent Los Angeles communities. 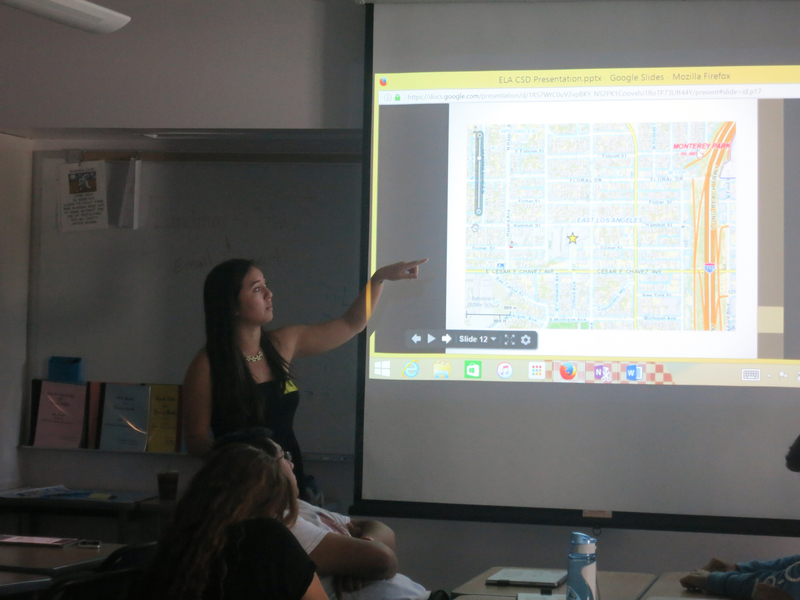 The map and other media were created by two classes of high school seniors from the East Los Angeles Renaissance Academy at Esteban Torres High School (ELARA) working with artists from Public Matters and community-engaged architect and urbanist Theresa Hwang, Dept. of Places. 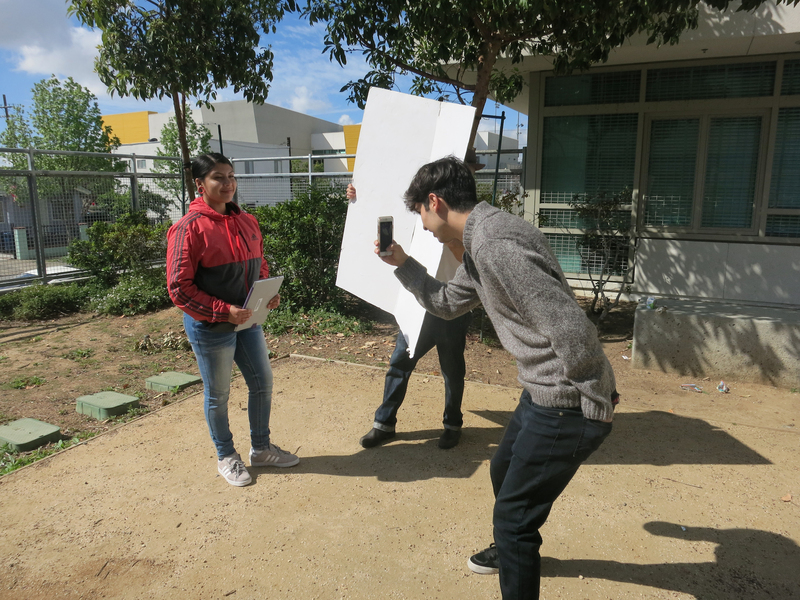 The project explored, documented, and interpreted the value and values that the high school students assign to people and places in East L.A., while responding to questions about representation and equity. It blended elements of art, design, urban planning, and community journalism. 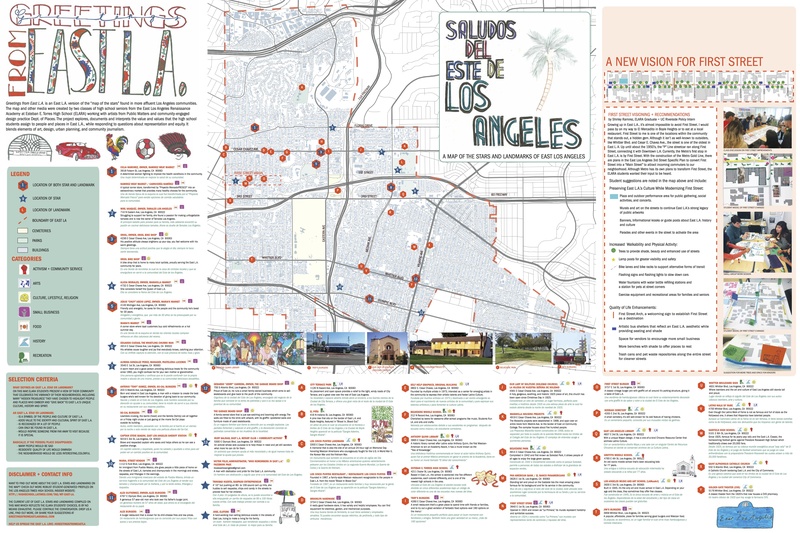 The map grew from a series of conversations with ELARA students about what constitutes an East L.A. landmark and a “celebrity,” and how they differ from those in other communities. This ignited discussions about wealth, race and dignity. ELARA students opted for a view of their community that celebrates the life and spirit of people on the streets, small businesses, and hidden treasures. 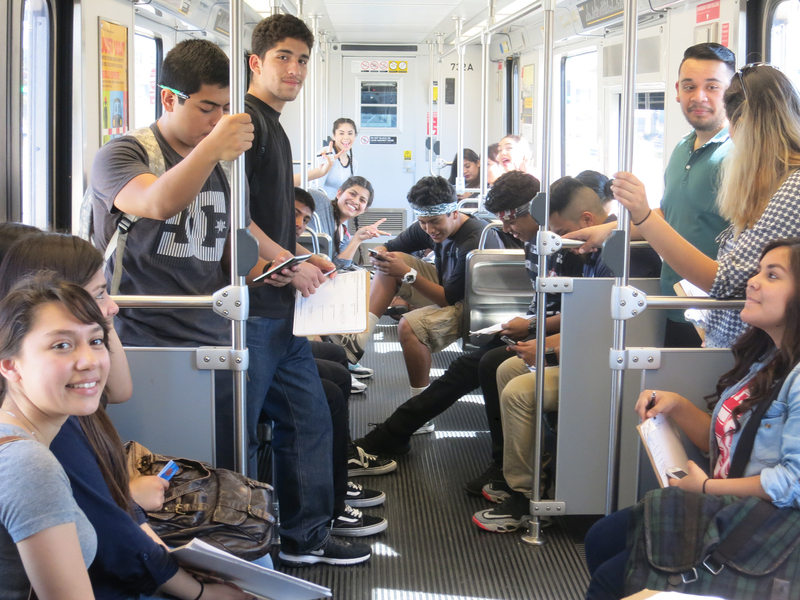 Students chose to represent people and places that they felt contributed and “gave back” to East L.A.’s unique culture, history and spirit. The map is in no means comprehensive but it is representative of a dialogical process led by student vision and local knowledge. The project team aimed to create a process that informed and engaged with East L.A. planning and economic development goals and decision makers. ELARA students developed interdisciplinary skills through twice weekly classes with project team members. They learned about local history and plans for its future through a study of its built and planned environment. They reflected on their own relationships to the neighborhood through writing and visual art assignments. Collectively, they undertook a visioning exercise on the future of First Street, an area slated for redevelopment. It was the project team’s hope that the students’ vision for their community could influence the street’s redevelopment from the get-go, rather than in response to some else’s vision for the place they call home. 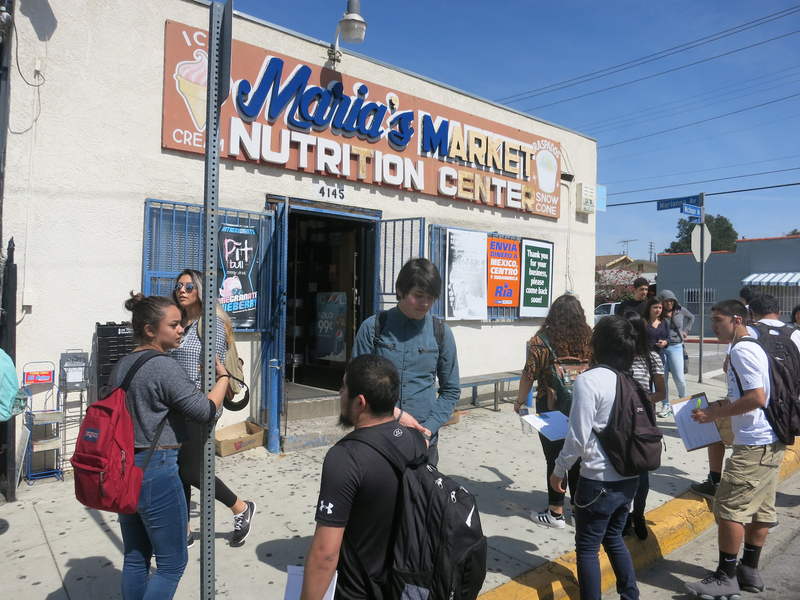 Participant observation – Students took a group field trip to “see” the neighborhood with greater acuity, and visited the Office of Los Angeles County Supervisor Hilda Solis (District 1). Written and visual art assignments – Students reflected on his/her relationship to East L.A. Student-generated profiles of the stars and landmarks are available on the High School Insider website. 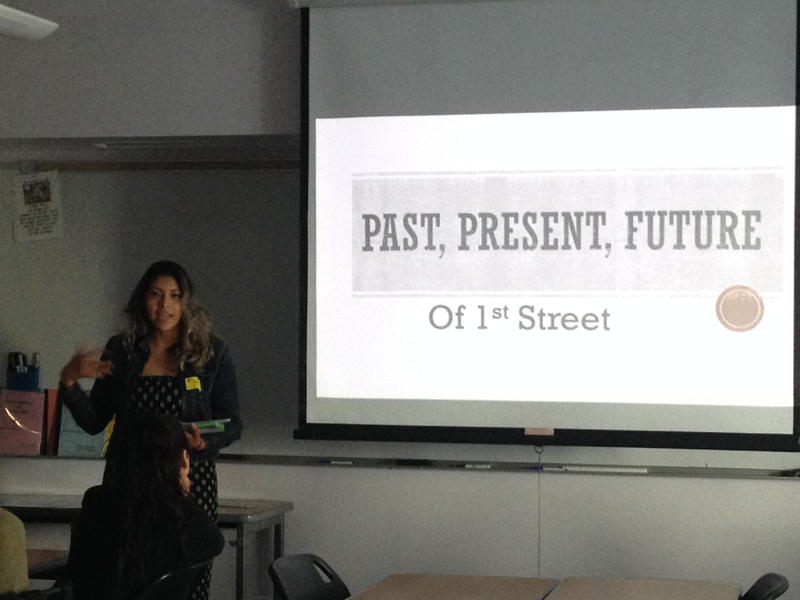 Visioning Exercises – Collectively, students imagined the future of First Street. Classes focusing on writing, drawing, typography, graphic design, and photography. Presentations to: 1) the USC Sol Price School of Public Policy students, faculty, and administration; and 2) fellow students, teachers, and administrators of ELARA. >> Photos from the presentation at USC! 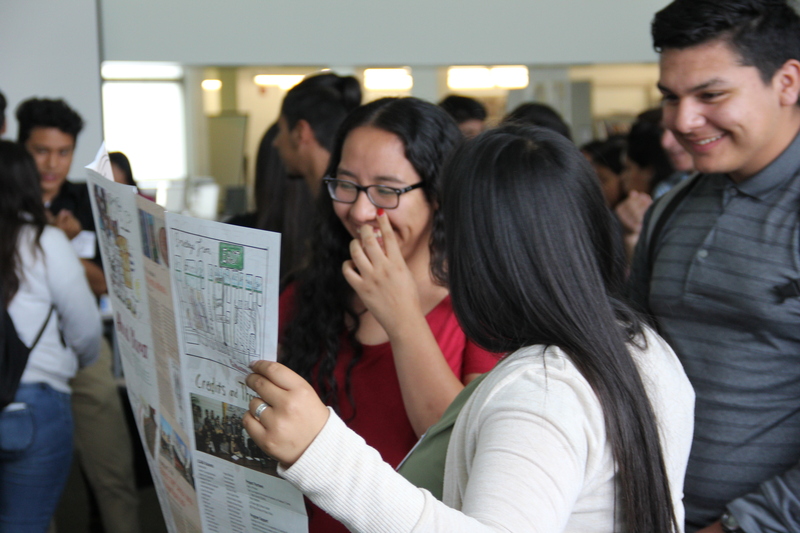 >> Photos from the Open House at ELARA! 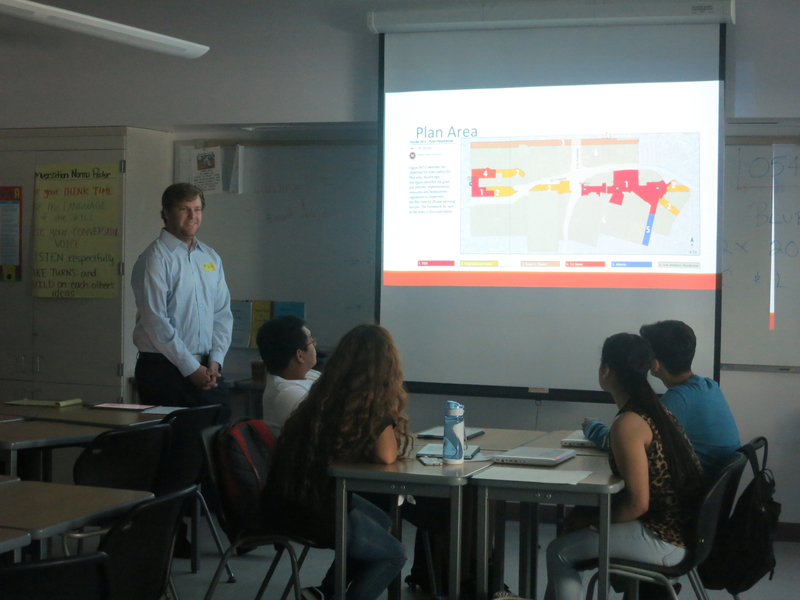 Through a partnership with the USC Sol Price School of Public Policy, undergraduate and graduate planning students Katie Jagodka, Evan Kort, and Justin Pascone introduced students to basic tools and concepts used in urban planning, policy, and design. 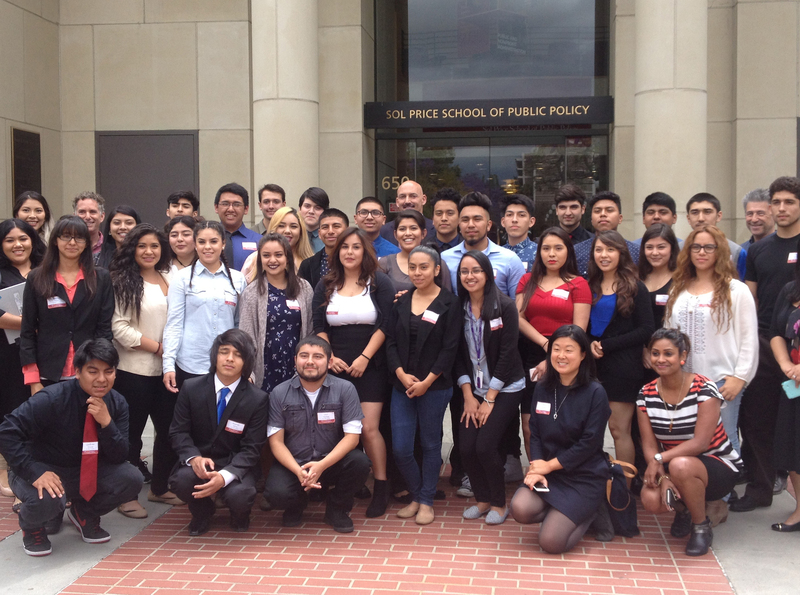 Two recent ELARA graduates – Andy Alvarez, an Urban Futures Lab Fellow, and Shirley Ramirez, a policy student at UC Riverside – helped to ground and deepen the students’ understanding of East L.A. from a local perspective. ELARA Assistant Principal and classroom teacher Martin Buchman was instrumental in guiding project and classroom direction. Daniela Gerson and Kyle Finck of the Los Angeles Times provided students with journalistic counsel. 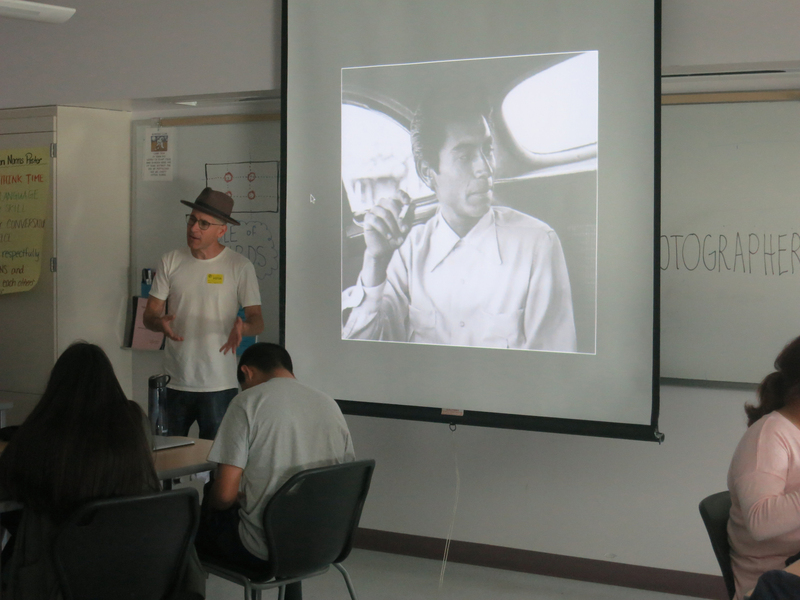 Photographer Elon Schoenholz came into the classroom to provide students with training in best practices.